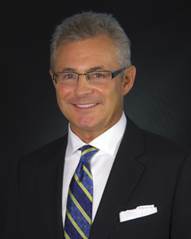 WASHINGTON, D.C. -- In accordance with NAB by-laws, Tribune President of Broadcast Media Larry Wert has been appointed to the NAB TV Board of Directors by Television Board Chairman Dave Lougee effective immediately, NAB announced today. Wert fills the Fox Affiliate Board seat that was previously held by Brian Brady, president and CEO of Northwest Broadcasting. Wert was appointed to his position at Tribune in February 2013. He is responsible for directing the strategy and operations of Tribune's 39 local television stations and Chicago radio stations WGN and WGWG. Wert came to Tribune from NBC owned-and-operated WMAQ-TV in Chicago, where he was president and general manager. He began his career at Leo Burnett Advertising in Chicago in 1978, and moved on to television sales with ABC, working in Los Angeles, New York and Chicago, where he became local sales manager at WLS. In 1989, Wert moved to radio as president and general manager of Chicago's WLUP. In 1996, he was named president of Evergreen Media. When it merged with Chancellor Broadcasting he became senior vice president of Chancellor, overseeing 13 radio properties. Wert serves on the Board of Directors for several charities including the Museum of Broadcast Communications, the Children's Brittle Bone Foundation, Catholic Charities, the Chicagoland Chamber of Commerce and the 100 Club. He is a member of the Governing Board of Gilda's Club of Chicago, an advisor the Chicago Chapter of Make-A-Wish Foundation and Honorary Board Member of RAINBOWS, an organization that helps children cope with loss. Wert also sits on the IBA Board of Directors and the Board of Trustees for Fenwick High School in Oak Park, IL. Wert holds a B.A. degree in Journalism from the University of Wisconsin, Madison. He is married with four children and resides in his hometown of Riverside, IL.